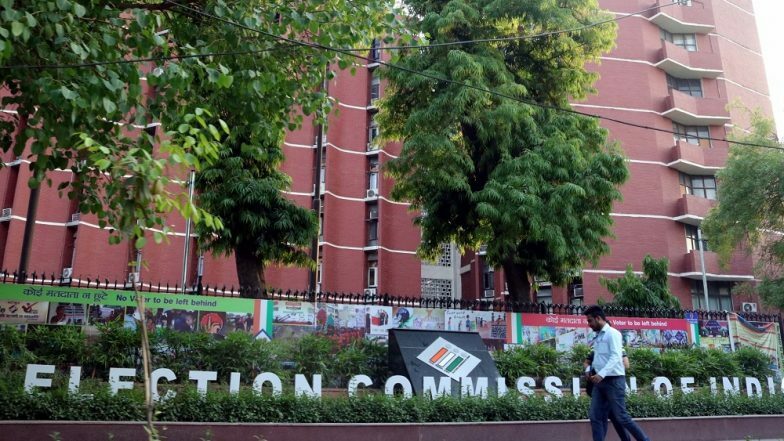 New Delhi, April 11: The Election Commission of India (ECI) on Wednesday wrote a strongly-worded letter to the Revenue Department of the central government expressing displeasure over its reply to the poll body's April 7 advisory in which it had told "to keep concerned Chief Electoral Officers in the loop during raids by IT/ED and DRI agencies." The ECI said that in its response, the Revenue Department "insolently" chose to issue a counter advisory. After opposition parties approached the poll panel alleging one-sided raids on Prime Minister Narendra Modi's political opponents by central agencies, the ECI had written to the revenue secretary, instructing him to tell his officials to be neutral and unbiased on raids during Lok Sabha elections. In its response, the department asked the poll body to "advise" its officers to take action "to check and eventually eliminate the use of unaccounted money". FIR Against DMK’s Vellore Candidate in Connection With Income Tax Raids. "Since it is the responsibility of the Election Commission as also of the revenue agencies to check and eventually eliminate the use of unaccounted money in election, we would also like to urge the Election Commission to advise its field officers involved in the enforcement of the Model Code of Conduct to take immediate enforcement action at their end," Deputy Secretary Arvind Saran's letter to the poll body read. Andhra Pradesh: I-T Dept Carries out Raids at TDP MP Galla Jayadev's Residence. The Revenue Department's response promoted sharp reactions from the poll panel which said that its April 7 advisory was responded in the "casual and trivial manner". "The Commission has noted with extreme displeasure, the tone and tenor used for addressing a Constitutional Authority in stark violation of the established protocol," the ECI said, directing the government body to comply with directives in the advisory. Ahead of the first phase polling for the Lok Sabha elections, raids were conducted on aides of Congress leaders Ahmed Patel and Kamal Nath, TDP leaders in Andhra Pradesh and JD(S) leaders in Karnataka.